Welcome to the latest episode of the Failed Critics Corridor of Praise podcast. Originally, the CoP was set up to honour the work of icons and legends of the film world who have been overlooked by the academy and other major award ceremonies. Therefore, our sixth inductee – and long overdue as it may be – is the Muscles from Brussels himself, Mr Jean-Claude Camille François Van Varenberg; otherwise known to you and me as Jean-Claude Van Damme! 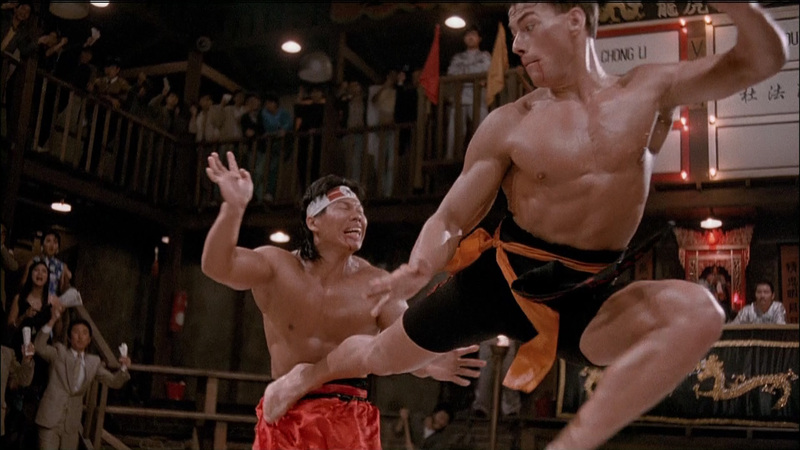 A professional karate and kickboxing champion in his youth, including being named a former Mr Belgium, JCVD moved to America in 1982 with dreams of making it as an action film star. After a succession of minor roles as an extra, including a credited role as ‘Gay Karate Man’ in Monaco Fever, his first big break came in 1986 playing the leg splitting, spinning heel kicking ‘Ivan the Russian’ in Karate Kid knock-off No Retreat, No Surrender. This was eventually followed by two of his most successful box office hits (and frequently named as fan favourites of course) in 1988’s Bloodsport and 1989’s Kickboxer. Achieving his dream of becoming one of the most globally well known action film stars of his time during the early to mid 90’s, a series of personal problems thereafter resulted in the slow decline of his box office pull. Nevertheless, after starring in over 45 feature films as varied as DreamWorks animation Kung Fu Panda 2 and futuristic Albert Pyun b-movie Cyborg, we still love him and as such are honouring the good man with his induction to our illustrious Corridor of Praise. To help Steve and Owen immortalise the greatest living Belgian, beaming in all the way from Norway are self-confessed Van Damme-nuts Hollie and Richard Trondsen. Join us again next week as we have an exciting crossover podcast with our friends at Black Hole Cinema and Wikishuffle.